What if Open Badges* were more than digital course stickers or doggie biscuits for the gamification of learning? mobile learning records that could travel with the learner? modular, remixable portfolios of skills and achievement? What if they were authentic signals of soft skills? What if (gasp!) they were owned by the learner and could help them build their own human capital and carry it forward? What if Open Badges could help learners and workers build trust and connections across work and learning silos and in new life situations? What if they helped all kinds of people make transitions from secondary to post-secondary education, from education to employment, through career arcs, between careers or even between countries for immigrants and refugees? What if they were recognized digital tender in regional skills economies? Well: Open Badges are; Open Badges can; Open Badges do. What if it could happen in Canada? Regional skills networks are already emerging elsewhere: Open Badge Academy in the UK, Cities of LRNG in the US, Bestr in Italy, the exciting Humanitarian Passport and elsewhere. Not so much in Canada. It’s pretty scattered here: typically institution-based (though some independent trainers are using them, Hive Toronto did something, others are making noises), often just an experiment in course gamification at the instructor level, with or without a research agenda. There’s little or no evidence of portability beyond the institution other than maybe encouragement to post badges on LinkedIn – which is OK, assuming there’s an audience for the badges produced (are they “resume worthy”?) Almost all the efforts I’ve seen in this country have not actively engaged the key “badge consumer”: employers, who could use serious badges as evidence in a talent pipeline, a hiring process or an internal talent search for projects or future leadership. Make no mistake: the whole point of *OPEN* Badges is to support careers: academic, vocational, professional. Open Badges are designed to be transferable beyond their original context: they’re portable evidence, support for new goals: they should help you get into higher education, the workplace or a new career. Yes, they can and do have formative value, but if all you’re doing is setting up a system of course stickers, please don’t bother making them open – you’re just confusing people. Please just make “closed” digital badges that stay inside your learning silo, like Khan Academy does. Making Open Badges portable across sectors is more work, but it leads to better chances for sustainable success: to think through what skills employers might want (ask them! ), what criteria and evidence might demonstrate those skills and how to package these in a workflow that makes sense for all concerned. And not just default to a big proprietary silo, where “free” means paid for with our own data… the Internet is a network, not a pipe. Let’s use it like one. How can we build skills networks here in Canada? How can we build on what we already do? How can we learn from what’s already working elsewhere and adapt it here? We’re starting the process in BC, on Canada’s West Coast next month with a free cross-sectoral design lab to develop alternative credentials for careers in the province: the BC Open Badges Forum. We’re offering a crash course in Open Badges and how they build careers in other networks. We’re inviting local and external speakers (“Instigators”) to ignite ideas that can be brainstormed in collaborative breakout groups, using design tools that have been tested in action at other venues. It’s the first step in our journey: bring the players together, present the opportunity and see what happens. It’s picking up momentum (we should have over 100 people from different sectors) and it promises to be a learning experience for all concerned – me included! As someone who tracks the recognition of learning and achievement using Open Badges, I found Learning to be Employable, a report from UK’s City & Guilds a very interesting read, despite its narrow focus on Further Education (FE). Although this report focused on youth in vocational programs, there was lots here that can be adapted to other groups along the spectrum of lifelong learning. I’m becoming more and more interested in how Open Badges can provide evidence of employability soft skills. I last wrote a blog post on this back in June 2016 and plan to write more on the topic. This post is a further instalment in what I hope will be a series, but is also doing double duty as a submission for the City & Guilds Employability Practitioner CPD ENGAGE Open Badge – eating my own dog food… yum! First Part: What Are Employability Skills and Which Are Most Important? Instead, I was treated to a historical survey and research summary that emphasized overlaps between terms. I found the definitions interesting, but still had difficulty parsing terms such as perseverance and resilience (NB: “Resilient” capability on page 33 includes “perseveres” and ‘displays grit” – ack!) and the authors’ constructs of “habits of mind” and “transferable skills”. As more of a “lumper” than a “splitter”, I found lots of commonality across categories! Given all the overlap and the difficulty in getting universal agreement on terminology, I think that for recognition of employability soft skills via Open Badges it makes sense to simply link to individual frameworks as needed or demanded by different audiences, especially badge consumers such as employers. This way, earned badges will be more locally relevant, aligned to employers’ hiring contexts with a minimum of adjustment on their part (“Don’t make me think!”). The technology should be able to accommodate this in version 2 of the Open Badges standard: alignment to skills framework(s), which could be a feature of post-facto third party endorsement. This part is where the report came alive for me. Again, there were no simplified prescriptions to follow, but lots of useful case studies and characteristics of exemplary institutions.A key lesson is that employability must be embedded across the curriculum and beyond it, not shoved into its own curriculum silo, or dumped into student services, to be accessed at the end of the program. The Ofsted case study of the Halton Borough Council on page 43 hammered on the importance of real employer engagement to get the skinny on opportunities for Work Integrated Learning and employment, but also to get their input on programme design – which skills and what to call them, so that job candidates are speaking the same language as their employers. While most employers, colleges and training providers tend to use a language of skills – employability skills, soft skills, NCS, for example – it is important to see the bigger picture. The CBI has clearly grasped this in its various educational initiatives, and we suggest that we follow its lead by using the word ‘habit’ to elevate this debate to an institutional level rather than allowing it to sit within discussions about individual courses. The evolution of thinking about employability exemplified by the CBI also has the benefit of focusing on ‘employability habits’, skills which have become so much second nature that they are also habitually used. a combination of self-belief, a willingness to give things a go, seeing mistakes as an inevitable part of making progress, being willing and able to take and learn from feedback, being pre-disposed to share emerging ideas with others and look for their input, valuing hard work and effort, and seeing perseverance as an essential part of human activity. I was interested to learn that non-cognitive skills are still malleable at the adolescent level, so that resilience, persistence, etc. can still be effectively worked on in high school and early college. The authors report that “GenY” (Millenial?) workers seek more immediate feedback than Boomer, “attributed to their exposure to instant communication and feedback via internet access and social media.” This suggests personalized digital badge development pathways to monomaniacal people like myself. I also hadn’t heard of UK’s National Citizen Service, which seems to be quite effective and successful and has surprisingly won support across the political spectrum in the country. Something to think about here in Canada, as we emerge from the rubble of the Katimavik and Canada World Youth programs. One quibble: the assessment section did not even mention badges, though it did talk about ePortfolios and “the use of technology to support the recording and assessing of employability skills.” I suggest that the authors may want to examine the affordances of digital badges and Open Badges, given their discussion of the tension between formative and summative assessment and ePortfolios. This report joins my library of resources on soft skills and I’ll be following up on many of the references cited in it. I do like the City & Guilds approach of focusing on PD of instructors using Open Badges for reflective learning. This makes for better change management for one thing, getting instructors to reflect on the changes needed. Also, the Scottish Social Services Council has discovered that the reflections contained in such badges are a great source of feedback and qualitative research. I’m sure that City & Guilds will also find this. Why do we need the Bologna Open Recognition Declaration? I’ve been volunteering on the Program Committee for the annual ePortfolio and Identity Conference (ePIC) for the last few years, working with Serge Ravet and others to come up with topics, lure speakers and participants, and cook up an interesting stew of ideas. This year’s conference is being held October 26-28 in Bologna, graciously hosted by our CINECA colleagues, who are behind the Bestr platform. Inspired by the location, Serge had the wonderful idea of coming up with a new kind of Bologna Declaration: one that would focus on the practical recognition of capabilities and achievement rather than the formal delivery and assessment of learning. 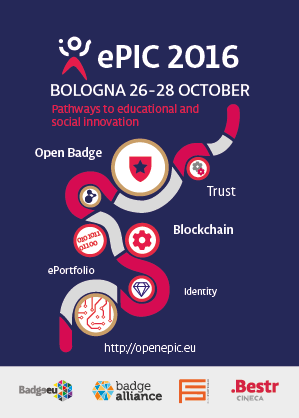 We’re launching the Bologna Open Recognition Declaration officially at the ePIC conference, but it’s already open for your evaluation. If you have comments or suggestions, please make them on the Google Docs version between now and October 26th. … and the list of signatures is growing. UNESCO’s Paris OER Declaration called on governments worldwide to openly license publicly funded educational materials for public use.That’s a good thing. BCampus’s Open Textbook Project is already saving students tons of money – great ! But resources are not enough. MIT knew this when they started MIT OpenCourseWare. Content is not learning. You need activities, reflection, assessment – that’s assessment typically by a human being, whether it’s formative or summative. And the 1999 Bologna Declaration proposed a vision of free student movement between countries that led to a qualification reform process now adopted by 50 countries. Great! But it’s not enough. … formal education is not accessible to all citizens and does not meet all needs. Many argue that formal education represents only a small fraction of the learning that takes place across an individual’s lifespan, most of which goes unrecognised. This diagram about facilitating 70:20:10 from DeakinPrime, the corporate training arm of Deakin University shows how learning outside the classroom can take many forms in the workplace alone – what about communities? Training organizations, employers, associations and communities can find better ways to help people learn the things they need to learn closer to the time that they need it. Or maybe it’s too much for the purpose at hand. Do I need a Masters degree to be selected to lead that team? Only if the selection criteria say so. Only if the selection criteria don’t include the magic words “…or equivalent”. Sometimes, as in selecting the best candidate for employment, it’s informal recognition of informal learning that’s most appropriate: the reception of signals of performance, the weighing of evidence of past performance focused on the prediction of future performance. Open recognition for all: First, we encourage everyone—learners, educators, citizens and organisations—to actively participate in and take ownership of the emerging open recognition movement. Participating includes: taking personal responsibility in one’s own learning and in the recognition of others’ achievements, contributing to the design, implementation and/or exploitation of local and/or global systems of recognition. Open recognition technologies and infrastructure: Second, we call on the community of learning practitioners and technology developers to establish a trustworthy system of human and machine verifiable learning credentials and to adopt open standards facilitating the comparability and transferability of learning credentials. Open recognition policies: Third, we call on governments, public authorities and educational stakeholders to implement inclusive policies facilitating and encouraging the recognition of learning achievements whether in formal, non-formal and informal settings, with bridges between all three. Those policies should ensure the existence of multiple developmental pathways, increased flexibility and accessibility and the inclusion of socially excluded and disenfranchised groups. Open Badges have demonstrated that we have the means and the opportunity to put an end to the disparities of the recognition landscape. Connecting and informing competency frameworks, they become the building blocks of an open architecture for the recognition of lifelong and life wide learning achievements. They create the conditions for individuals to be in control of their own recognition, to establish their identity and agency, whether formally (within institutions) or informally (across communities). Personal agency and control over one’s own recognition are important concepts that people like Serge Ravet are keeping alive in our Open Badges community. Recognition, like learning delivery, is not binary; it ranges from formal to informal, as appropriate to the situation.Quality is as quality does. This relates to the type of issuer just as much as to the type of issue. Beyond Higher Education, professional associations are already credentialing, both formally (certification) and informally (CPD). Industry associations and large enterprises like IBM are learning the community-building power that open recognition brings. Help us launch the Bologna Open Recognition Declaration. Recognize and share learning in a digital world. Hosted in Canada by Canadians. I may be coming late to this party (Tom Vander Ark mentioned this as early as March 2012), but I’m going to be reading more Clayton Christensen over the next while. Why? Because his theories about disruptive innovation help integrate a lot of the thinking that’s inspiring me about Open Badges and the recognition of learning. Why are Open Badges a disruptive innovation? In a nutshell: Open Badges don’t have to be as “good” as the high quality diplomas and degrees issued by higher education. Instead, they can be a lesser quality, less costly, less difficult solution that fills unmet needs at the edges of the recognition of learning and achievement, such as for Associations. There’s nothing wrong with less quality, if it’s appropriate for the need, especially if it’s provided at a lower cost and/or has lower barriers to entry. You don’t pour a foundation to build a mobile home. In the same way, Open Badges can be lightweight instead of heavyweight credentials, if those lightweight credentials are good enough to do the job, such as tack a new skill or achievement onto your résumé. Over time, Open Badges technology and social infrastructure will continue to grow in “quality”and gravitas, with machine-readable taxonomies that enable searching, 3rd party endorsement and other forms of validation, rich extensions, improved post-issuing valorization markets and so on. Eventually they will likely become a more transparent, complete and flexible system than our current high quality diplomas and degrees. Diplomas and degrees will probably be seen more as recognition milestones rather than end points in lifelong learning careers. This happened despite the vacuum tube industry spending 30 times the R&D money that Sony spent, trying to make transistors meet the needs of their current market. So it’s not like they didn’t see it coming, they were just locked into the needs of their current customer base. According to Clay, true disruption occurs when companies compete against non-consumption. “A new-market disruption is an innovation that enables a larger population of people, who previously lacked the money or skill, now to begin buying and using a product and doing the job for themselves,” explains Clay. This makes badges a textbook example of a disruptive innovation according to Christensen et al. (2011) as badges are cheap to produce, and are available to a segment of the education market not currently being served (bolding mine). Enter Associations as a large bloc of non-consumers of high quality, expensive credentials. Let’s leave aside the high stakes certifications of regulated professions for a moment; instead, think about non-regulated professional associations and industry associations. Associations are well known as advocates for our industries and professions. Less well known, but potentially even more important in today’s world, associations create standards, define boundaries between professional spheres, and identify competencies needed in the employment world. We create educational programming designed to fill needs unmet (bolding mine) by more traditional educational institutions and foster social connections and professional opportunity through networking. Where conventional educational curricula come up short, associations provide industry-specific bodies of knowledge. Where diplomas fail to demonstrate specific competencies, credible and well-designed credentialing and certification efforts can fill the gap. Hmm… “needs unmet”. Unmet needs. Non-consumption as an opportunity. Proposal: Use certifications for credentials which have a shelf life of 2 years or more; use Open Badges for “liquid” skills. Clay suggests shifting responsibility for answering the disruptive threat to an autonomous organization (bolding mine) that can then frame it as an opportunity. A new organization can pursue alternative channels, utilize different suppliers, and employ different services. Most importantly, they can do this without hindering their current, and most likely profitable value network while also giving their new growth ventures a solid foundation for success. Can you say DeakinDigital, “a wholly owned subsidiary of Deakin University”? 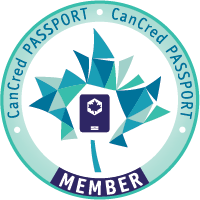 They’re now badging Masters level Recognition of Professional Practice for mid-careeer professionals – meeting unmet needs. They’re now run by the same CEO who runs DeakinPrime, Deakin’s corporate business training arm. This is an example of the Innovator’s Solution. A bit like Madison Area Technical College’s badge approach to PACE/Corporate training. And several university Extension arms, such as Colorado State and Oregon State. (Typically) uncredentialed cash cows for their institutions. So it’s starting at the edges… but beware of competition from agile upstarts. We’ll also be launching the Bologna Open Recognition Declaration. Current supporters of this declaration include Sir John Daniel, Stamenka Uvalić-Trumbic and Mark Surman. More to follow. Be one of them! Comments welcome at the Google Doc draft page. Recognize and share learning in a digital world. Hosted in Canada by Canadians. I had a conversation last week with a Canadian colleague, exploring how Open Badges could help youth-serving agencies incorporate “career competencies” into their programming. The ice may finally be breaking up here! I know that we can learn from some exciting initiatives already underway around the world. Career competencies is her semi-formalized term for what I normally call soft skills: “communication, teamwork, critical thinking etc.” She’s working with a framework that was developed by a Canadian university. There are lots of frameworks out there, which is part of the challenge. These are not easy to accurately assess. But they are necessary! Boy, is she right – on both counts. But that’s exactly why I think an “Open Badges aware” solution represents an ideal approach: their simplicity, their modularity, their different degrees of formality, their freedom to traverse contexts… all these make possible a wide array of flexible strategies for the slippery needs of soft skills assessment and recognition. So I reached out to the Open Badge community asking for leads to the “current state” of Open Badges for soft skills. I got lots and I’ve dug for more. This blog post starts the discussion. The Canadian Education and Research Institute for Counselling (CERIC) contracted a survey of 500 Canadian business leaders who agreed that “ideal” employees have a good blend of technical and soft skills. I like the long tail, which could help people (at least in Canada) who are designing training and assessment programs and, gosh, badge systems. This is a cute title for a recent (ongoing?) Canadian social sciences research study, which so far I’ve only been able to see in four page summary form; the full report is likely still unpublished. More information about “Soft Skills are Hard:” The “Skills Gap” and Importance of “Soft Skills”can be found partway down this page on the funder’s website. There is wide agreement that “soft” skills (often termed “professional” or “generic” skills) are among the skills essential to employment across sectors. While there is little agreement, however on how specifically these skills are defined. While much attention is focused on providing Science Technology Engineering and Math (STEM) graduates with training in soft skills, less attention is focused on Social Sciences and Humanities (SSH) graduates because of an assumption, perhaps mistaken, that these graduates will possess soft skills. Employers report a “skills gap” and generally do not feel graduates possess sufficient “soft” skills to perform effectively. There are significant differences in the expectations and perceptions of employers and the perceptions of educators and graduates regarding the level of soft skills graduates possess. While there are some standardized tests for some soft skills – writing and critical reasoning for example, many soft skills can only be assessed in context and just as there is little agreement on definition, there is little agreement on assessment of these skills. There are many stakeholders involved in the development and assessment of soft skills and most agree a combination of formal and informal or experiential learning are required. Because of the way in which soft skills are learned, many segments of the population are disadvantaged in access to the coaching, training and role models needed to develop these skills and cultural biases may play a role in the definition and assessment of soft skills. Moreover the boundaries between “skills” and “personality traits or habits” are blurred particularly with respect to interpersonal skills. A diversity lens is critical. The lack of consistency in definitions and fragmentation of stakeholders involved in soft skills development compounds the problem and more coordination is needed to develop shared expectations and to bridge the gap between supply and demand. More research is needed to systematically assess empirically the ways in which soft skills can be defined, developed and evaluated. What a wonderful row to hoe for Open Badges, don’t you think? I love point 3 about STEM vs Humanities graduates. I definitely agree with point 7 that ” a combination of formal and informal or experiential learning are required. ” Point 8’s discussion of accessibility and diversity adds a lot of value to the conversation and should be interesting to the large scale Cities of LRNG initiative in the US, whose mission is to bridge development gaps for underserved populations. I have a quibble with point 6, and maybe it’s just a question of emphasis: yes, context is important but soft skills are supposed to be transferable. An employer doesn’t say in a behavioural interview “tell me about a time in my specific context”. That’s fodder for “Badges as conversation topics and boundary objects” – more on that point later in a future post, but follow the link to read that interesting article in the original. I have another quibble with point 9 and maybe it has to do with what’s meant by “coordination” for shared expectations. Because our society is not a totalitarian one, I’m I’m not sure we’re going to get “one framework to rule them all”, although 21st Century Skills is trying. Fragmentation and what to do about it is being discussed right now in this thread of the Open Badges Google Group. But in a later post I’ll be making the point that the evolving Open Badge technology standard provides effective ways to cross boundaries. But this study makes a great starting point. I’m chunking this fascinating topic into instalments in an effort to cut down the length of my blog posts. You want frameworks? We got frameworks. They’re breeding like rabbits. Beyond testing. Authentic forms of recognition. How can we teach this and know that we’re teaching it well? What can we teach and what can’t we teach?When do we get out of the way? When does it stop? How do we evaluate between different contexts? What’s the impact on career development and productivity? How can we analyze impact across contexts? Soft Skills and Open Badges: Best Friends Forever. Let’s explore the relationship together. I ‘m looking forward to the learning and networking opportunities as I participate and speak at the exciting Digital Badge Summit on June 24th in the greater Denver area, just before the massive ISTE 2016 conference in Denver itself. There’ll be something for everybody there: K12, Higher Ed, Teacher PD, with a stellar group of speakers. I plan to learn more about Open Badges for soft skills and I’m curating the Hot Topics thread, which will include sessions on Open Badges and ePortfolios, Trust Networks and Digital Badge Futures. If you’re coming, please reach out! I had the pleasure of presenting at the annual TEAM conference in Winnipeg this week. TEAM stands for “Teaching English as an Additional Language (EAL) to Adults in Manitoba”, a portmanteau term for an inclusive volunteer organization that puts on an ambitious program every year – there were 13 tracks in this year’s conference. EAL is a key enabler of immigrant integration in Canada and I go way back with immigration: my father served as an immigration officer for 20 years and I spent some time growing up overseas. In my career, I’ve worked on several learning projects related to language learning and settlement at the federal and provincial levels, enough to know a fair bit about the immigration and settlement landscape here. I blogged about the broader landscape of Newcomer settlement back in April: (eCredential Pathways for Immigrants and Refugees). This post is more about the language learning side – my chance to reflect on new and old thoughts that occurred to me getting the presentation out in the context of the TEAM conference. Picking up your life and moving it to another country is a marvelous opportunity to re-invent yourself, especially if the Plan A you arrived with isn’t working out. Maybe you’re having trouble getting your credentials recognized, or your English isn’t as good as you thought it was, or you’re having trouble building a network. It’s an opportunity to re-think your career, your life purpose, even your identity. This opens the door for transformative learning tools such as ePortfolio, where you can begin to reflect on your life experience, your gifts, your interests and your emerging opportunities. Open Badge eCredentials can work with ePortfolios in mutually supportive, recursive ways: ePortfolio evidence packages that lead to Open Badges that fold into new evidence packages, etc. Learning seldom happens in a straight line: it can take place on multiple fronts at multiple rates at different times. This can be confusing and hard to track. Or it can seem glacial – too slow to track. In EAL, there’s often a learning plateau around the middle levels of CLB 5-6, where progress seems to slow down. This can be disheartening for people trying to achieve CLB levels 7-8, generally agreed to be the employability level. Recognizing learning achievements with Open Badges can help language learners visualize their continuing progress as they move through these development doldrums. Language learners and their professional instructors both qualify as adults with adult learning preferences and needs. Both need a mixture of formal, non-formal, informal and experiential, connected learning opportunities. Learners enrolled in Language Instruction for Newcomers (LINC) programs can earn LINC certificates with sufficient hours of instruction. According to South Eastman English and Literacy Services, these certificates can be used for Citizenship and to register for college or university classes. I think an Open Badge eCredential could do a more transparent and secure job of sharing this man’s language skills.Even better if it were in an ePortfolio. I was struck at the conference by the relatively low level of technology usage in the EAL community. There are some notable exceptions, and this was evident in the sessions about leveraging the affordances of mobile and web technologies for teaching. English Online comes to mind, for example. But a speaker in the opening panel had to make the point that “technology” is not a new “thing”: teachers have always leveraged available technologies to get learning happening. I have a great deal of respect for the passion and dedication of EAL teachers, but I do think that is is an area for improvement. There was push-back at the conference about an online community portal called Tutela.ca. Community members complained about the difficulty of finding resources by theme. Looking at the incredibly poor user experience of seeking resources using “Browse by Topic”, I’m inclined to agree, though the site promises a better experience in a forthcoming “Tutela 3.0”. I just hope the community has the patience to wait! But I detected a underlying desire for a single place to go to get a canonical, authoritative, “approved” list of resources that teachers can use. This feels a bit like the passive “teach me” attitude that many of the same teachers complain about in their learners. I don’t think it’s going to happen, at least to the extent that they seem to desire, i.e. for all levels and audiences, centrally approved, constantly updated, permanently maintained… Yes, resource search can and should improve, but many of the resources will come from community peers and from strangers in other communities. Professional learning is a conversation, an ever-evolving stream of emergent and examined practice. This is what it means to be a professional. Technology can help with crowd-sourcing the development of professional resources, such as in the example I provide in my presentation above about VIF International Education, a global education PD initiative, where teachers who develop robust learning resources are recognized by Open Badge eCredentials, killing two birds with one stone. But the notion of crowd-sourcing and the culture of autonomous, blended learning in physical and virtual communities needs to be fostered for professionals just as it needs to be fostered for language learners. Another clue that the community needs to embrace technology more: paper language portfolios. The pushback mentioned above was specifically about lack of tools and resources for Portfolio Based Language Assessment, a primarily formative, “assessment FOR learning” approach to tracking learner progress, ideally based on learner artefacts, but often on instructor “micro-assessments” of learner tasks. Now I think PBLA is an awesome idea and I’m very proud that it was invented in Manitoba (as Collaborative Language Portfolio Assessment), but the recommended PBLA portfolio is still a 3-ring binder, albeit with some allowance for electronic archiving via CD-ROM. Several sessions at the conference were devoted to PBLA and some shared tools for delivering it, but the default technology was paper. This seems odd in this day and age, especially when you consider that two of the four skills are Listening and Speaking. It seems to cry out for multimedia in an online Personal Learning Environment. And this PLE doesn’t have to be a single-purpose language silo: it can later adapt to support employability and career development needs. Early areas for development could include PBLA implementation, technology-enabled language learning and recognition for resource development and mentoring – in addition to the easy stuff like conference/workshop recognition and certification. … but we’d be only slightly less thrilled if the EAL sector in Canada showed significant signs of going digital by adapting the global examples provided, using ANY solutions for ePortfolios and eCredentials. We launched our service to help accelerate adoption in this country. After all, it’s 2016! This post is about a digital badging practice that I think can be damaging to learner motivation and to our badging community in general. The 9th Graders are automatically enrolled in this (citizenship) program and to exit… they have to meet certain criteria. Some of it is grades, some of it is joining a club or a sport or being involved in a very rigorous program that requires extra time such as band, FFA (Future Farmers of America), ASB (Associated Student Body), things like that. Or, if they choose not to join a club or sport or one of these programs, then they can attend events and we require ten events. Events can be anything from Saturday School to a sporting event, to Open House, any kind of event that may be going on campus that shows that they’re getting involved. Then they are “passported out”, which means they get to sleep in Wednesday morning. Then of course, with every accomplishment they’ve achieved they earn points and with the points they can redeem for prizes we have in our Points Store…. We reach out to some of our local supporters, we have good relationships with a lot of our businesses here….. The pizza place that’s down the street, they’re actually fairly new in town and we knew they were looking to market their business, so we got in touch with them and they donated a certain amount per quarter. Subway is another huge supporter…. so far we’re having a pretty steady influx of students redeeming their points and prizes. It helps motivate us because the more badges you get, the more points you get, the more prizes you can get and the more fun you can have. It’s pretty great because it’s just like a big sticker book. And you get stuff for it. I see a big problem here. What are the students talking about? Citizenship? Learning? Looks more like programmed compliance to me. Push the lever, get the treat. They’ve gamified a learning program and in doing so have commercialized it. The learning program is rewards-based: it relies on extrinsic motivation. How will these kids fare when they can no longer cash in badges and points for pizzas and subs? Will they still want to learn and get involved as citizens? What has this transactional approach done to whatever intrinsic motivation they might have had? One reason I’m reacting like this is because of an article I read recently in The Atlantic. The author is a family psychologist who describes a similar problem with sticker charts,where kids get stickers for good behaviour and can “spend” them on prizes, based on a system their parents set up for them. Studies have shown that offering children tangible rewards in exchange for caring behavior may diminish future helpful behavior and can erode children’s innate tendency to help others…. Insights from behavioral economics help explain this effect. From that perspective, the problematic attitude of children raised in a reward economy—“What’s in it for me?”—is a predictable response to the collision of social norms (the invisible forces that shape how humans act) with market norms (a system of payments, debts, contracts, and customers). In experiments studying the effects of these two norms, the behavioral economist and Duke University professor Dan Ariely has found that when the two come together in the same situation, market norms tend to overpower social norms, shifting the focus from relationships to commerce. Promising goodies to children for good behavior can never produce anything more than temporary obedience. In fact, the more we use artificial inducements to motivate people, the more they lose interest in what we’re bribing them to do. Serge Ravet, organizer of the ePIC conferences, had read the book and was very enthusiastic about Alfie’s point of view. He blogged about it in 2013 and invited Alfie to appear at ePIC 2014. Although Alfie did not have direct experience with Open Badges, Serge had explained how they work and he agreed to present some thoughts designed to help Open Badges avoid being digital “doggie biscuits”. I’ve seen plenty of kids who are in awful reading incentive programs, where they get points, or levels, or pizza parties or prizes of various kinds for reading books. And these kids are bragging about it: “Look how great I am. How can I get more of these?” But these kids in a fundamental sense are being lost as learners because their desire to do the learning itself… their interest in reading for its own sake is evaporating before our eyes. Alfie wound up his remarks with six criteria for reducing harm Open Badges. I should say here that I don’t fully agree with Alfie’s criteria. For example, he rejects gamification as being too controlling and he lumps milestone badges in with that. Dan Hickey, one of the most active researchers out there in the field of Open Badges, is well aware of Alfie’s work and also has issues with aspects of these criteria. We gave Dan an opportunity to engage Alfie afterwards in a debate over Skype. Unfortunately, that recording is painful to watch due to audio issues, and Dan was not at his best because he was recovering from a mountain biking accident, so you’re probably better off reading the blog post that Dan wrote about the event a few weeks after, which he ran by Alfie before posting. I’d add that Cities of LRNG is also now experimenting with more nuanced approaches learning in social and cultural contexts based on Connie Yowell’s notion of Connected Learning, which seems support Dan’s reference to intentional learning as described by Bereiter and Scardamalia: engaged learning to solve problems, rather than treating the learning itself as the problem. Alfie makes a good point about working with rather than doing to learners and I think it’s safe to say that Alfie and Dan agreed that behaviourist “rat mazes” populated with incentives like food (“do this, get a slice”) are not conducive to learning. Alfie Kohn represents a strong point of view that is useful as a reference point when you’re developing badge systems, but as you can see, it’s not the only one. In order to improve my badge system design skills, I think I may critique Alfie’s list of criteria in a future post. I’ll do that after looking in more detail at the references that Dan makes in his post and after reading Punished by Rewards right through; I’ve got a library copy that I’ve been skimming for this post. … it’s just like a big sticker book. And you get stuff for it. I’m looking forward to participating and speaking at the Digital Badge Summit on June 24th, just before the massive ISTE 2016 conference. There’ll be something for everybody there: K12, Higher Ed, Teacher PD, …maybe even gamification! I’ve been having a lot of fun over the last few weeks re-thinking how Open Badge eCredentials can enhance lifewide learning through the lens of Extended Enterprise Learning. This post explores how academic institutions already deliver Extended Enterprise Learning and how they might do this more deliberately for their own survival in troubled times. Many public sector academic institutions, particularly universities, are uncomfortable with the notion of learner as customer, preferring to think of them as what I would call “targets for transformation”, if teaching is the goal, or “talent pipelines” if research is the goal. OK, sometimes both. However, Learners do generally pay for their learning, they generally have a choice of suppliers and do vote with their feet if their needs aren’t being met. Certainly there are dangers inherent in treating undergraduate students too much like customers; ask any instructor whose performance assessment is based on student evaluations. But Gardner Campbell, Vice Provost for Learning Innovation and Student Success at Virginia Commonwealth University, warns us that there are also dangers inherent in viewing value only in terms of the institution. Student needs can be conflated with institutional needs and real learning can be compromised. So maybe the public is a “customer”. MOOC consortia are proliferating. We’ve heard of edX, Coursera and even Unizin. Over in Europe, Open University’s multi-institutional multi-national FutureLearn platform has over 3.5 million learners. In the words of its CEO, MOOCs will become “one of the most important recruitment grounds…particularly for international students”, adding that their university partners were discovering that offering free online content was “not just about courses” but also about making institutions “more discoverable” online. It’s useful to maintain contact with graduates (satisfied customers? ), who may want to come back for more learning, or may wish to “pay back” their learning in the form of donations. Institutions can encourage this productive relationship by providing services for alumni such as, oh I don’t know, maybe a lifelong ePortfolio? Yes, institutions compete with each other and the private sector competes with the public sector; I’ll be exploring Extended Enterprises in private sector education in a future post. But each institution is part of a larger system whose goal is (should be!) to benefit learners as they move through the (more or less) defined stages of learning: K12, post-secondary, professional/post-graduate, workplace and lifelong. As the learner moves through the stages of their learning, the supplier and other stakeholders inter-operate (again, more or less). In this way, simplicity and modularity can support the flexible complexity of an ecosystem, rather than the brittle complications of trying to get vertically integrated information siloes to talk to each other. Notre Dame’s E2B2 (ePortfolios with Evidence-Based Badges) initiative encourages students to showcase their skills and accomplishments visually on their ePortfolios, while establishing a standard system for verifying and quantifying these formal and informal achievements and skills. As students get involved with badges, the goal is that they start to focus on the co-curricular aspects of their education that is, the learning that happens outside of the classroom. University of Central Florida’s Division of Continuing Education delivers both kinds of eCredentials, in addition to a host of others for undergraduates, staff and faculty. DeakinDigital‘s modular “Recognition of Professional Practice: micro-credentials for Graduate Learning Outcomes (Communication, etc.) aligned to the Australian Qualification Framework that can add up to 90+% of a Master’s Degree at a fraction of the time and cost. The customers for this “Credential-to-Degree”program can be Employers, who can cherry-pick for Talent Management programs, or individual Learners, who might never have gone back for traditional Masters degree, for reasons of time or expense. Not only for the learner, but for academic institutions seeking new routes to fiscal sustainability. Current methods aren’t working too well for many institutions: since 2013, Bryan Alexander has been curating a scary list of institutional examples of what he calls the Queen Sacrifice: “the combination of self-destructive sacrifice and hope for gain” – otherwise known as cutting core programs to make ends meet and stay in business. Associations play an important role in our society, bringing people together around shared interests, whether those are professional, commercial, cultural, or just about anything people can be interested in. This includes everything from AA (Alcoholics Anonymous) to Zoroastrianism. It’s hard to segment, though I’m working on it. They’re typically not all that rich: 65% of associations in Canada have a budget of less that $500K. * A similar index for the US lists only 40,000, but I think this is due to more exclusive criteria. I suspect over 100,000 similar organizations in the US, if not more. These play out differently in different sub-sectors. For example, industry organizations are more concerned with Advocacy and Marketing, whereas professional organizations are naturally more concerned with Professionalization. Credentialing and certification of learning are trending upward in the sector. This is a form of social learning, the 20% of 70:20:10. It includes events, online communities and social media. It can be useful for member engagement, mentoring, expertise and opportunity identification and ad hoc learning. This can include research, trend analysis, tool development and other resources to support the 70% of 70:20:10 – the “doing”, problem solving, continuous improvement part of learning. An LMS is a learning “batch processor” and generally measures what’s easy to measure, which is biased to the 10%: online courses, typically delivered to cohorts, or automated if delivered to individuals. Unless sophisticated processes are in place, LMSs measure the delivery of bulk “learning inputs” with assessment based on the internal activities and content of the course rather than real world impact, or ROI. I say that we should measure personalized learning outcomes across the 70:20:10 spectrum of learning. Open Badge eCredentials make this possible. As an open, human and machine-readable technology standard, Open Badges have huge potential for associations in bridging needs and solutions across sectors and regions, for personal and organizational purposes. This is about delivering value to individual members. EDUCAUSE, the “foremost community of higher education IT leaders and professionals”, with a membership of over 2,300 organizations (over 300 private sector), talks about Signals for yourself: gaining new knowledge, developing your brand, and “wayfinding” to make your career path more visible. Learning opportunities don’t always have to be ponderously packaged in courses, but can be delivered and assessed at a smaller scale:Microcredentials are natural territory for associations and logically connect to microlearning. Learners increasingly appreciate and seek out ways to demonstrate their ongoing learning in what we term “the other 50 years”—the typical lifespan after adults leave higher education. For example, the Canadian Public Relations Society “Accredited in Public Relations” eCredential is based on years of service, work samples, an oral interview and a proctored exam. Organizations, especially smaller ones, don’t have to expensively reinvent the wheel: they can choose to recognize credentialed learning from other educators and trainers who support the Open Badge eCredential standard. For example, project management or leadership may be better delivered by an external organization, with its own industry-recognized credential. Learners in a community don’t have to just be learners – they can teach too, spreading the learning, bringing in new learning from outside as teachers. Skills ecosystems can develop. I’m enjoying my exploration of Extended Enterprise Learning, it’s been a real threshold concept for me, opening up new vistas for my ongoing obsession with Open Badge eCredentials for recognizing lifelong, lifewide learning and achievement. I plan to explore the Public Sector in an upcoming post.